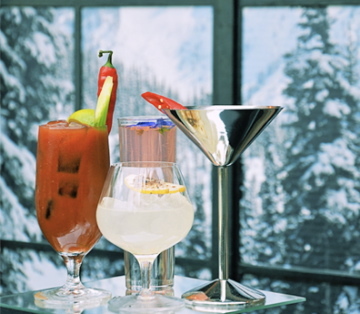 Elit by Stolichnaya in conjunction with Harvey Nichols invite you to wrap up warm and step outside to experience Freeze by elit at the Fifth Floor Terrace, bringing Alpine vistas of snow-capped mountains and a certain ‘après ski’ feel to Knightsbridge. The terrace features stag heads on the walls and a window looking out to mountains and glaciers. Cosy up in the luxurious log cabin in a group of 4 to 8 that can be booked out in advance. 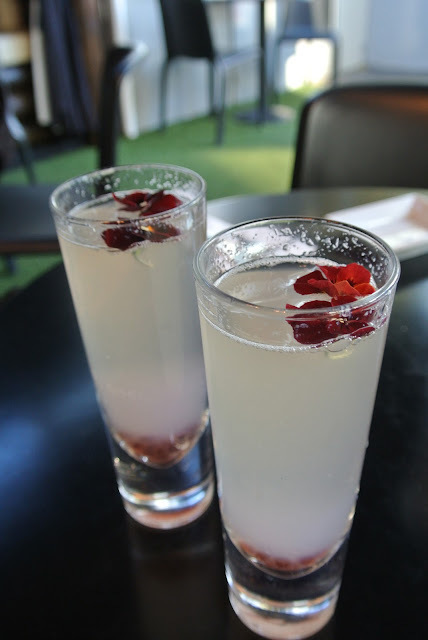 Try some delicious cocktails, delve into some deliciously paired tapas, or why not try some weird but wonderful Stoli Pops? Cocktails on the menu include the stunning elit Freeze, (elit by Stolichnaya with quince jelly, cinnamon, pressed apple, crushed pear and stem ginger) served tableside in a large ice bowl for 6 or more and the fabulous Stoli Jalabarbinger (Stoli Hot vodka, pressed lemon, Harvey Nichols London honey, rhubarb liqueur and fresh ginger). Also on the menu are tapas dishes designed to match your cocktail, for example with a Stoli Hot cocktail choose Stoli Hot vodka tiger prawns and garlic butter, Jalapeño poppers and Lamb koftas. Freeze by elit is inspired by the unique freeze-filtration process used when creating the luxury vodka elit by Stolichnaya. The liquid is chilled to -18˚c to increase its density so it can be passed through ion-charged filters to capture any impurities, leaving an exquisitely pure liquid which is consistently voted as the highest rated spirit in the world.